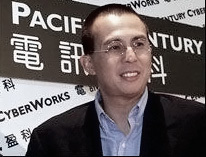 The new top-level domain (TLD) .richardli secured for the Hong Kong billionaire Richard Li went live on the internet today. Kevin Murphy from Domain Incite reports: "The registry is Pacific Century Asset Management (HK) Limited, a subsidiary of PCCW, the Hong Kong telecomms and internet giant of which Li is chair… The gTLD is a pure brand-protection play, according to the 2012 application"
According to the TLD application filed in 2012, establishment of the .richardli TLD on the Internet is to safeguard brand’s intellectual property right (in this case Chairman’s name Richard Li). Local Time: Thursday, April 18, 2019 07:29 PM PDT – Page Load: 0.2530 Sec.